Thanks for your interest in our company and its services. 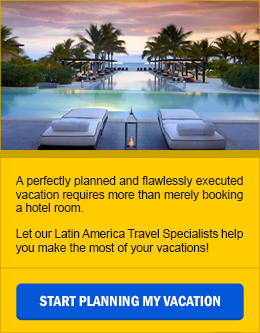 The Team at EcoAmerica Tours appreciate the opportunity to assist you with the planning and implementation of one-of-a-kind Holiday Adventures. As a Destination Management Company and Tour Operator, for all of our Team at EcoAmerica Tours the mission is to create and deliver extraordinary experiential journeys in selected countries in Latin America: Belize, Guatemala, Costa Rica, Panama, Ecuador, Peru, Brazil, Chile, and Argentina. After more than three decades of planning and executing vacation programs to our well selected destinations, we certainly are specialists and know first-hand what works best taking care of every detail to provide our guests with exceptional, enriching, and inspirational travel experiences and the best part, with no hidden fees!